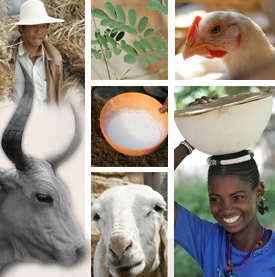 Jimmy Smith, director general of the International Livestock Research Institute, has published an op-ed on the Impatient Optimists blog of the Bill & Melinda Gates Foundation. 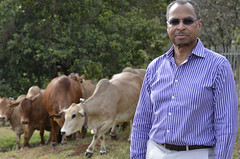 ‘Knowing that for many Africans the loss of even a single cow can be devastating, an international group of livestock scientists have worked for years to defeat East Coast fever. Their biggest breakthrough occurred decades ago when scientists at the East African Veterinary Research Organization (now the Kenya Agricultural Research Institute) successfully made a vaccine by cultivating and then grinding up ticks infected with the East Coast fever parasite. This first-generation vaccine prevents severe infections and is estimated to have saved some 620,000 cows from untimely death. .. . . Members of the new consortium are now pursuing a second-generation vaccine that is cheaper, safer and easier to use. Success, however, is going to require working at the frontiers of vaccine science. ‘This novel approach has the attention of both malaria and cancer researchers. If it protects animals from disease, malaria researchers could use the information generated in similar “one-two punch” vaccines under development for malaria. Their goal is to produce a vaccine that, like most human or animal vaccines, stimulates production of antibodies, which will kill any parasites in the cow’s bloodstream. The twist is that these scientists are also aiming for something much harder: a vaccine that simultaneously provokes production of “killer cells” that will target and destroy the cow’s parasite-infected white blood cells, which are invisible to the antibodies . . .
Read the whole article by Jimmy Smith on the BMGF Impatient Optimists blog: Parasite page-turner: Africa’s battle with a cattle killer takes new, unexpected turns, 3 February 3014.